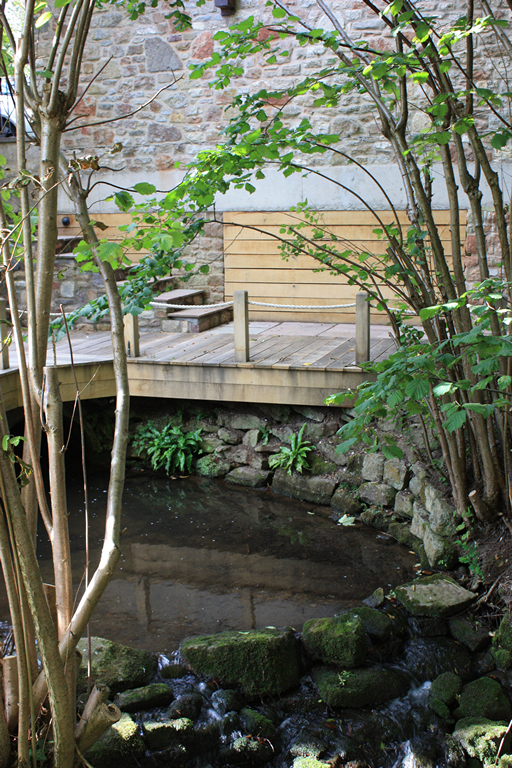 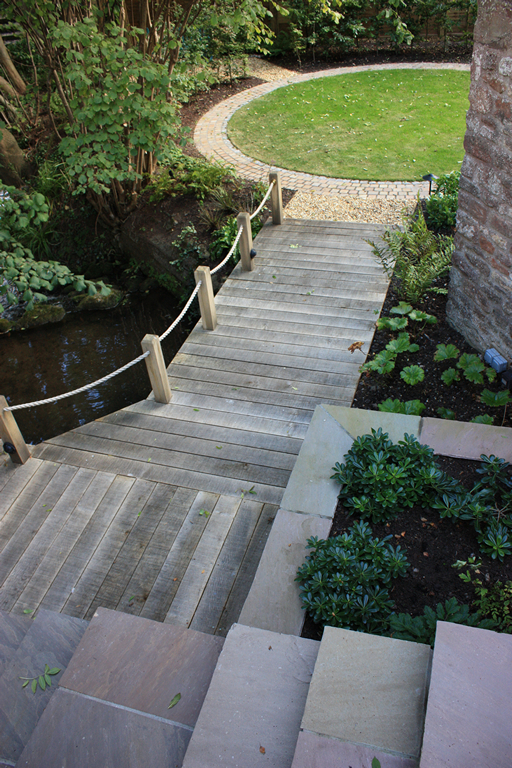 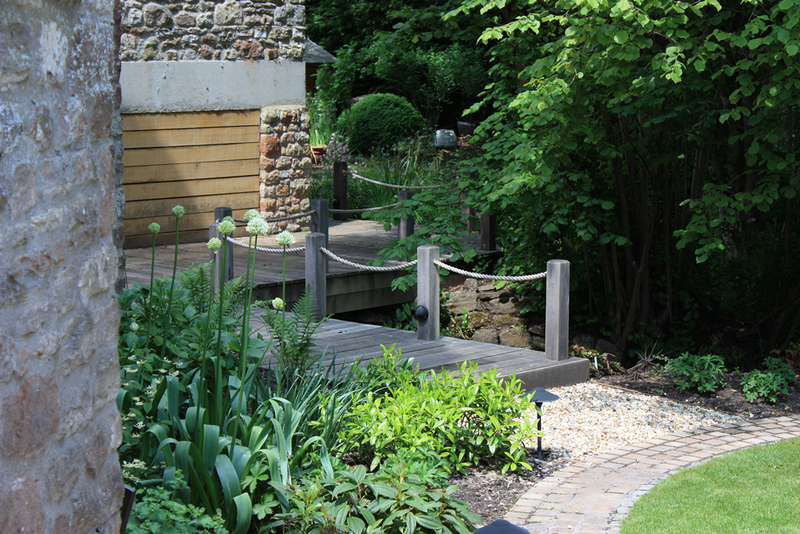 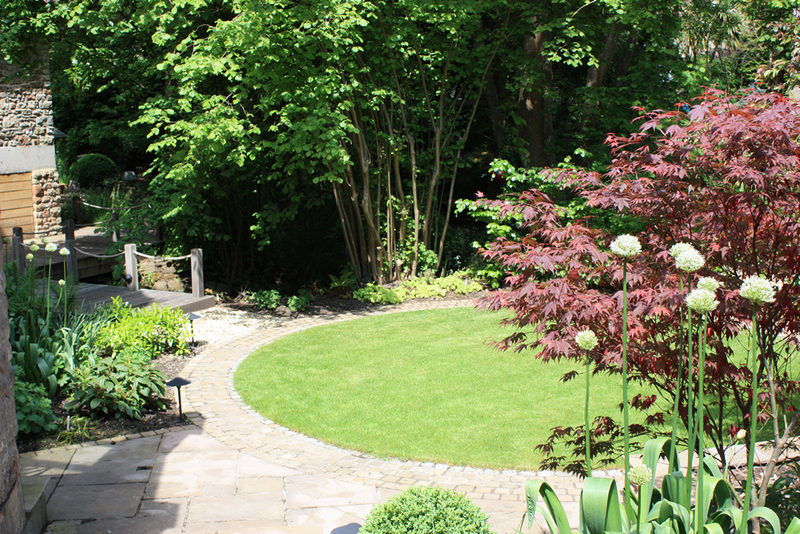 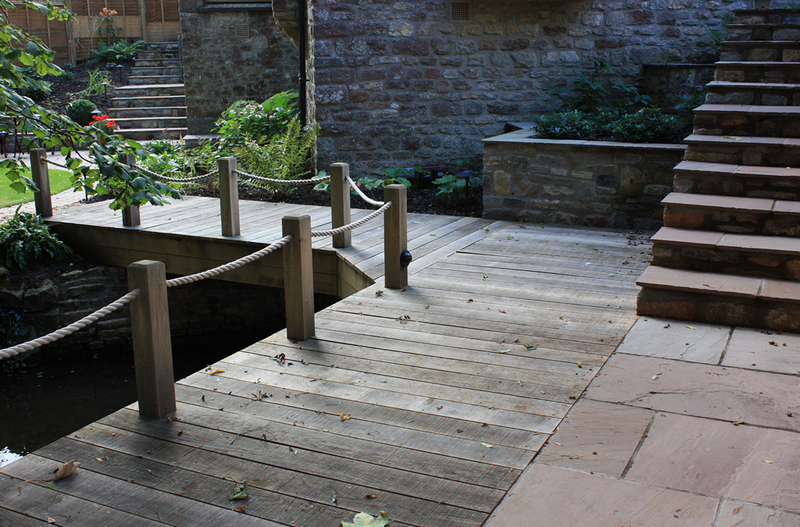 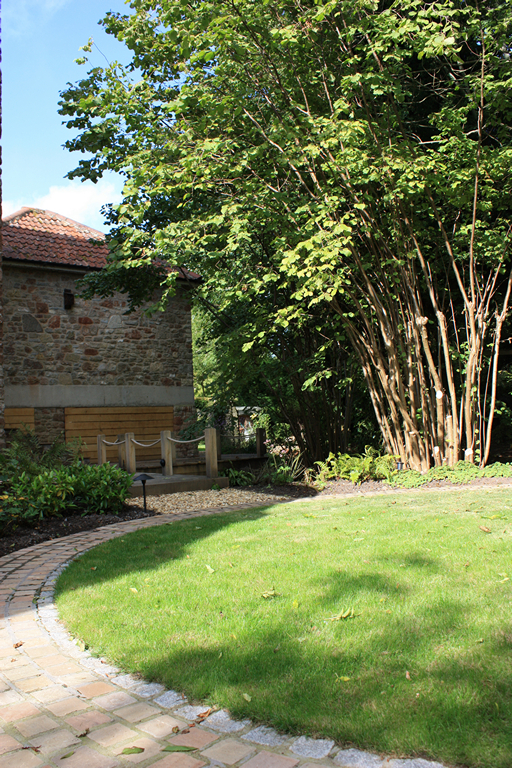 Medium sized garden (25x25m) designed for a converted mill house with a natural stream in Chew Magna. 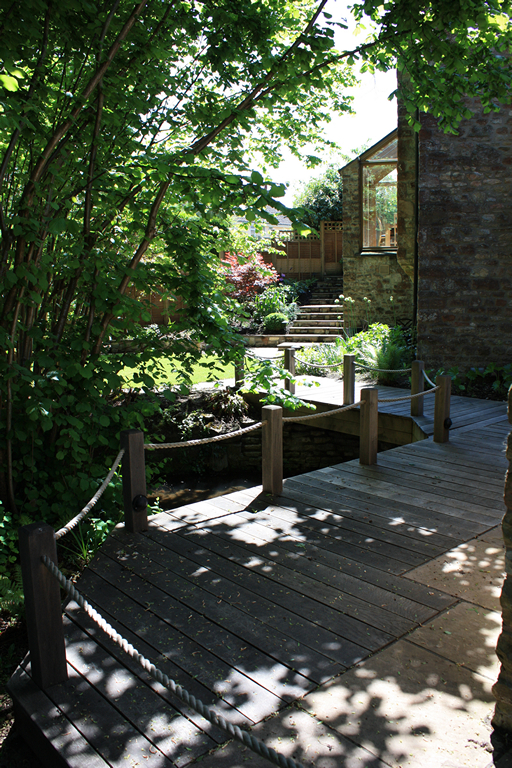 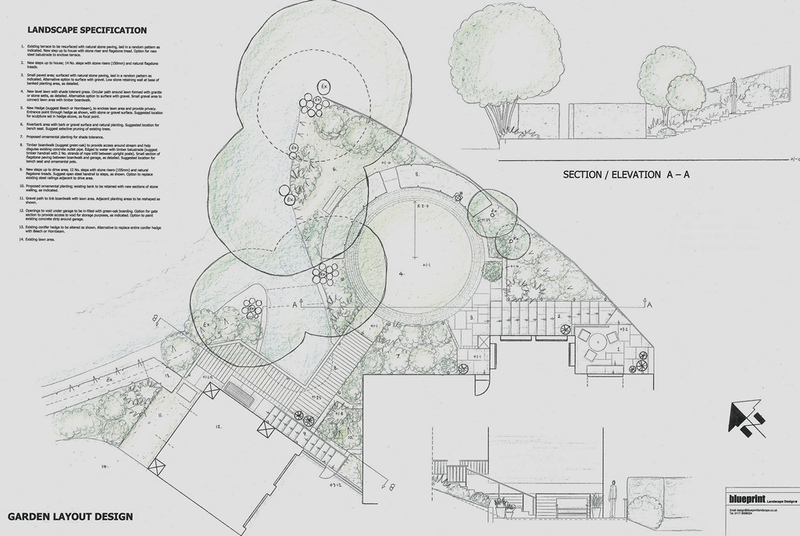 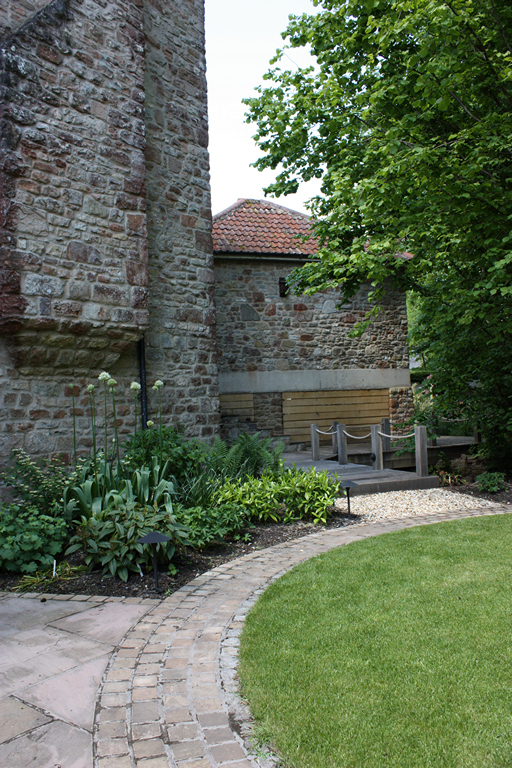 The layout connects house, garden and water together and includes reclaimed stone walling to match the house, a small circular lawn edged with stone setts, a curved Hornbeam hedge and an oak boardwalk providing access over the stream. 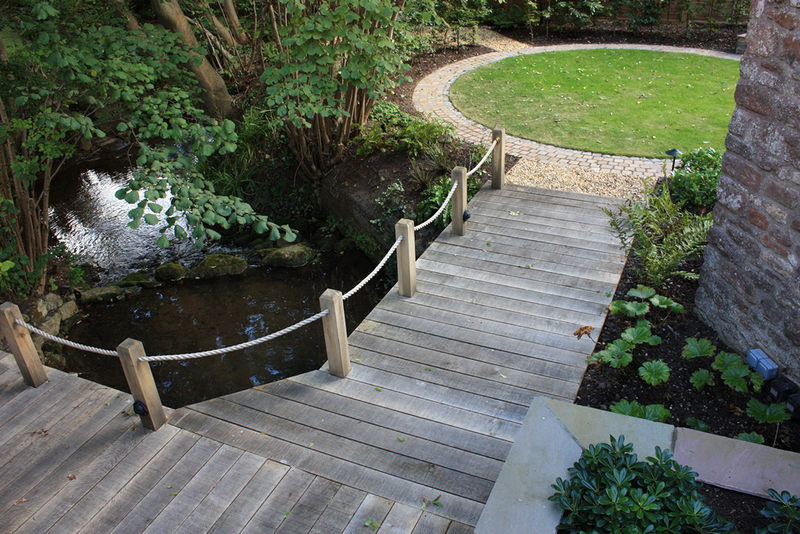 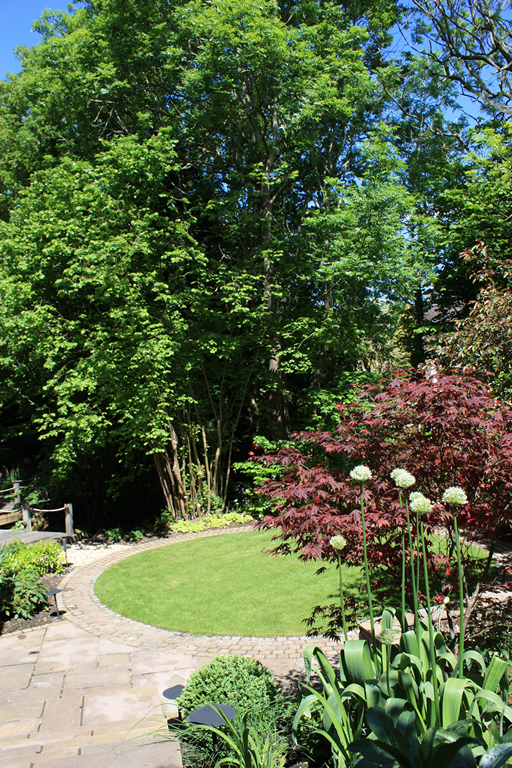 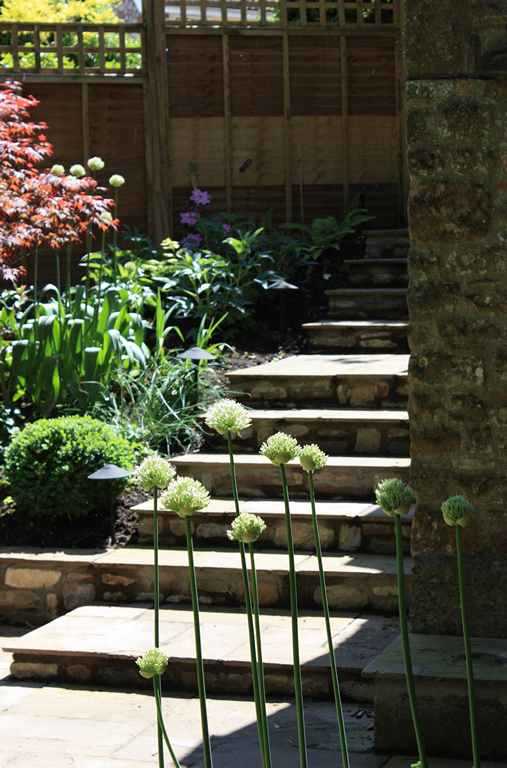 Planting is bold, leafy and green with a natural look in keeping with the waterside setting.